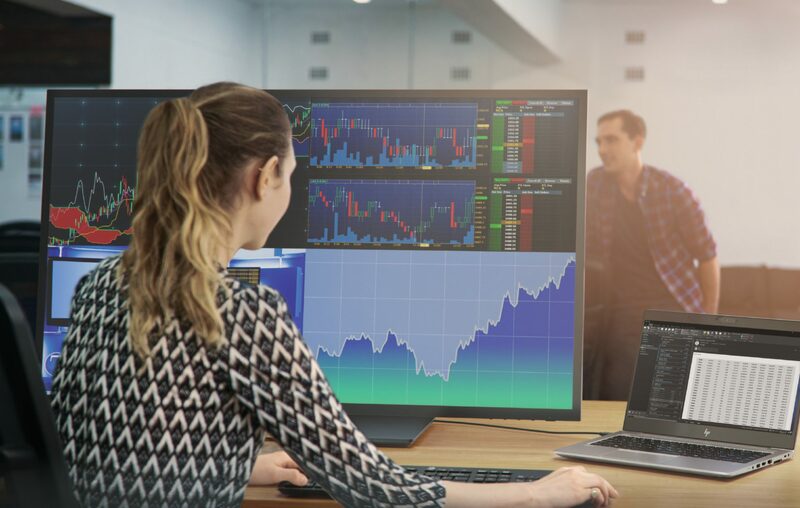 HP Inc. is following up what its calling its ‘largest premium launch year ever’ in 2018 with its first 4K monitors, next generations of and a whole array of security updates. Off the top, the most impressive part of these announcements is the new array of 4K monitors, that are surprisingly quite affordable, ranging from $559 to $899 USD. Other highlights include a new Elitebook powered by 8th generation Intel processors and new ZBooks with optional 4K displays. But before we take a look at the new products, HP upgraded its security offerings this year, starting with HP Sure Start Gen 4, which now offers enhanced encryption for better protection of a device and event logging for third party firmware. The two new security features are HP Sure Run and HP Sure Recover. HP Sure Run uses the Endpoint Security Controller to ‘extend hardware-enforced self-healing protection into the operating system by monitoring key processes and applications, such as antivirus, alerting both the user and IT if there are any changes, and restarting those processes automatically if stopped. Meanwhile HP Sure Recover can ‘offer secure, automated, network-basked software image recovery’ through an internet connection. HP says employees can re-image a PC even if the entire hard drive is wiped without the help of IT. The highlight of all these announcements is the affordable array of 4K monitors HP has introduced, starting with the EliteDisplay S270n. This is a 27-inch 4K display with one display port, two HDMI ports, and a USB-C port. It also has HP Display Assistant software that can help with screen partitioning. The HP Z-monitors – the Z27, Z32, and Z43 – provide similar experiences and capabilities at 27, 32, and 43-inches respectively. HP is highlighting its new 4K capabilities, multiple ports that range from new USB-C ports to HDMI and three USB 3.0 ports, and the ability to mount an HP Mini Workstation directly into the monitor’s stand. The HP EliteDisplay S270n is available now worldwide for $549 USD. The HP Z27 27-inch 4K UHD Display will be available in April worldwide for $559 USD. The HP Z32 31.5-inch 4K UHD Display will be available later this month worldwide for $899 USD. The HP Z43 42.5-inch 4K UHD Display will be available later this month worldwide for $799 USD. 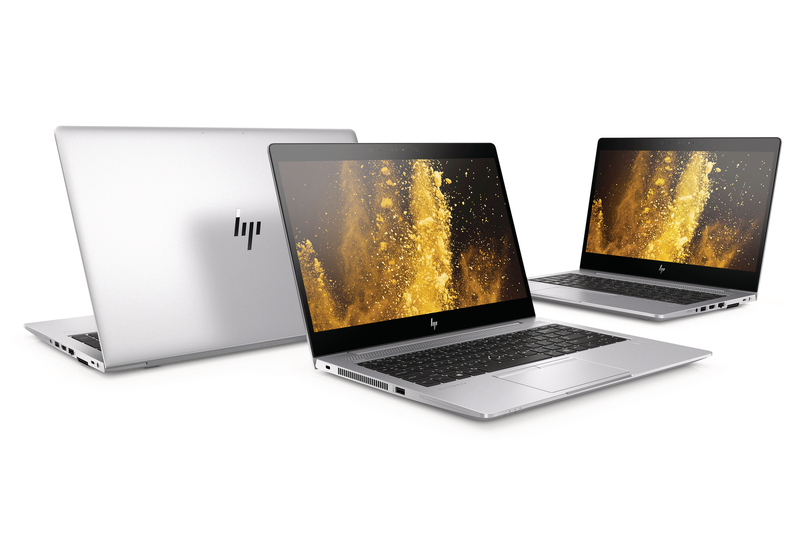 HP says that the new EliteBook 800 series is the first HP business-classified notebook to receive the 8th generation Intel Core processor upgrade. The company is touting up to 14 hours of battery life, but don’t expect to see that much battery life on either the 840 or 850, which both boast an additional AMD Radeon RX540 graphics card. The EliteBook 800 series also includes new noise-cancelling microphones that can remove unwanted sounds when in individual mode, or enhance sounds for 360-degree voice pick-up when in conference mode. 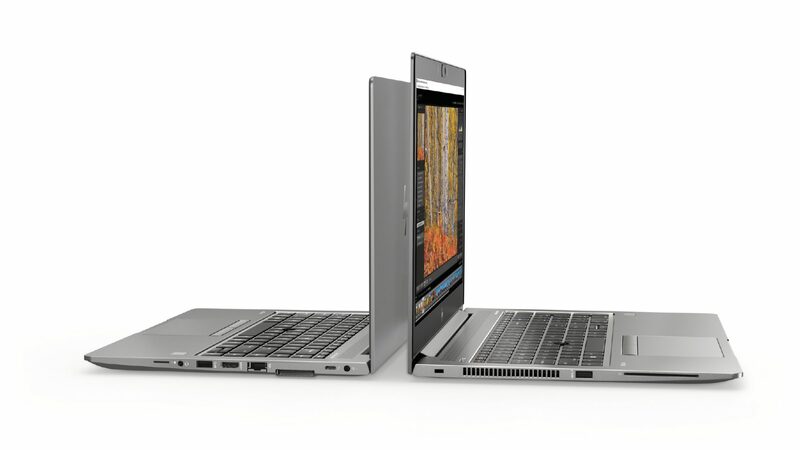 The HP EliteBook 800 series is expected to launch later this month worldwide. Pricing is listed below. HP EliteBook 830 G5 starting at $1,049 USD. HP EliteBook 840 G5 starting at $1,029 USD. HP EliteBook 850 G5 starting at $1,039 USD. The refreshed ZBook 14u G5 and 15u G5 feature the new security updates to the HP lineup, as well as 8th generation Intel Core Quad Core processors and AMD Radeon Pro graphics. The goal, HP says, is to allow for ‘fast and reliable performance and 24/7 workloads’ with the addition of more than 24 ISV certifications for CAD. Users will be able to add an optional 4K touch display with anti-glare to the ZBook 14u. The ZBook 15u has received a tech update that includes Intel Core i5 and i7 quad core processors with vPro technology, AMD Radeon Pro 3D graphics, and up to 2 TB of internal storage. The HP ZBook 14u G5 will be available later this month starting at $1,099 USD. The HP ZBook 15u G5 will be available later this month starting at $1,109 USD. Lastly, HP revealed the Thunderbolt Dock G2 that can provide power, supports up to two 4K displays, and now features an optional audio conferencing module. It is expected to release in May, and pricing has yet to be announced.